Specialty Perth Bookshops - Get Your Geek on in Perth! Crocs in Kimberley - See You In A While Crocodile! Australian Books Part Two - Looking for More Than Just Guide Books on Australia? West Coast Blues n Roots Festival...Coming Up! What’s Caramel Fudge got to do with Theatresports Shows in Perth? How to Shop…Op in Perth! Perth’s Top Op Shop Spots! Theatresports 2013 Grand Final - Who Will Win the Coveted Cup? Dog Parks in Perth – Where to Take your Dog for Exercise? 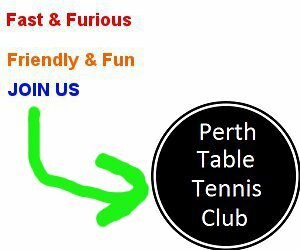 Perth Table Tennis Club Launches! La Soiree have arrived in Perth for the Fringe World Festival! Get your Skates on Fast to La Soirée! Get Ready Perth for Fringe World Festival! It's Going to be Hot at Club Swizzle! Perth Festival – All Good Things Must Come to An End! Murray Street Makes its Mark! Beware: Lake Monger's Black Swans Might Chase You! Learn An Australian Phrase - Go On, Give It a Go Yer Mug! Australian Food: In Australia We'll Slip an Extra Shrimp on the Barbie for ya!